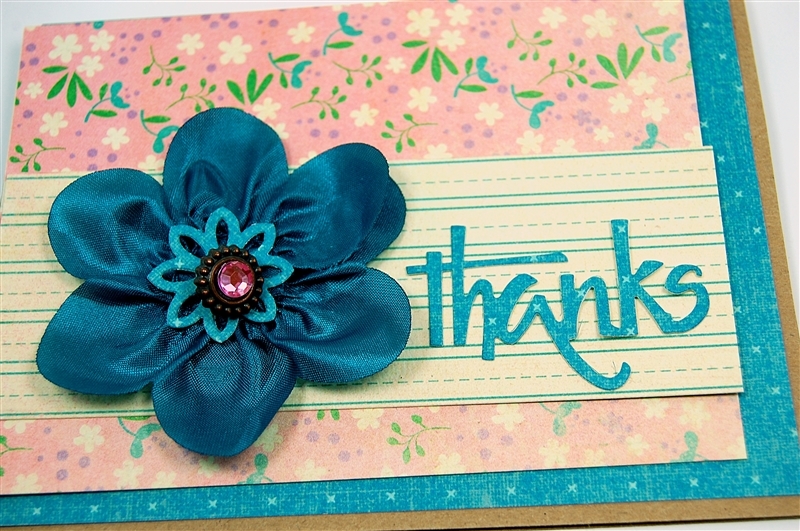 This thank you card has a special flower - one that is very simple to make. 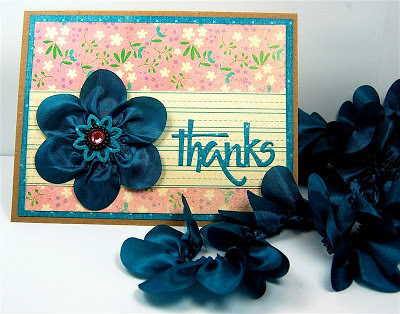 Today I will show you how I made the flower and share a few other tips. While shopping at Ink About It (my local stamping/scrapping store) I saw this beautiful ribbon trim. It is by Maya Road and they call it "satin scallop edge trim." It comes in several colors - I bought this wonderful teal blue and some of the cream as well. 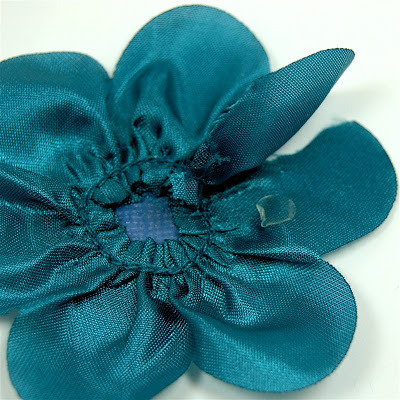 I think it is more of a silky trim, not quite as heavy as satin, but if you are looking for it search for "Maya Road satin scallop edge trim." 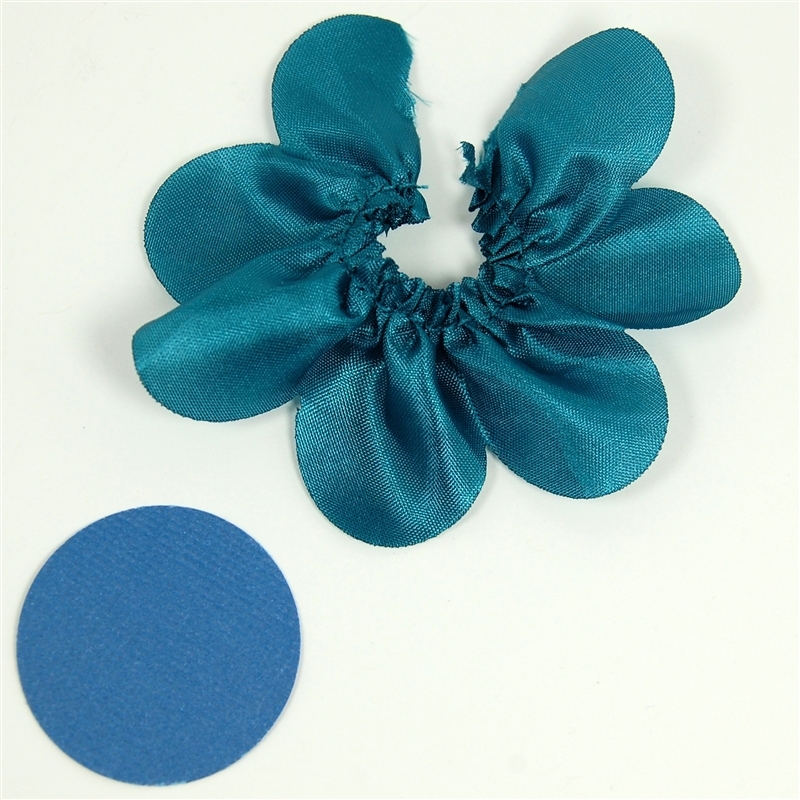 The scallops form perfect petals when you arrange the ribbon in a small circle. 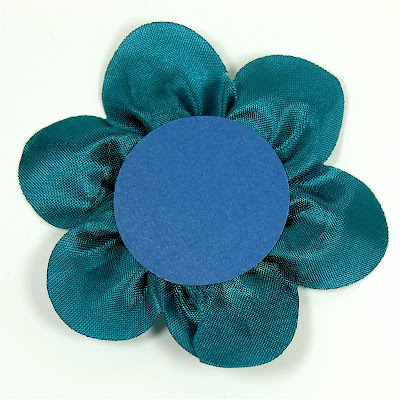 First, cut a section with six full scallops and part of a seventh to make this flower. Punch a one inch circle from a medium blue scrap of cardstock to use for a base. 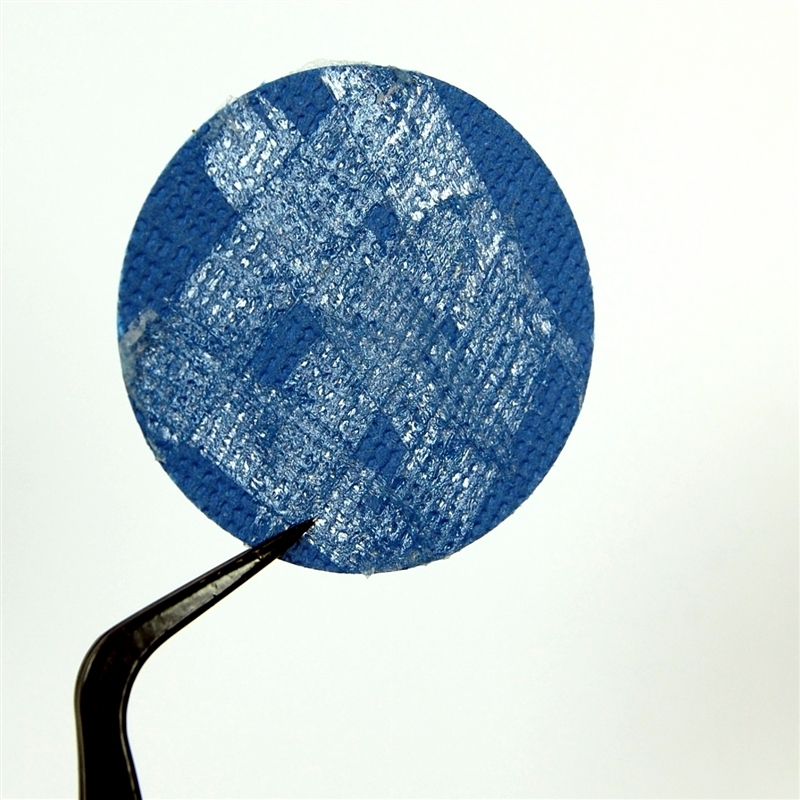 Add adhesive liberally to the circle. 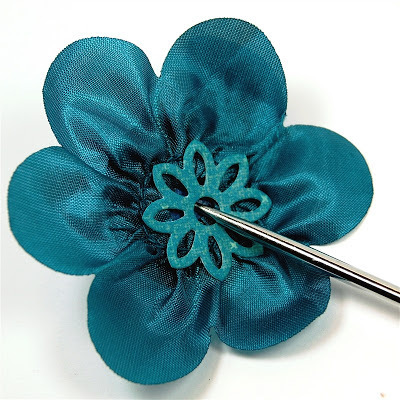 Form a flower shape with the trim and sit it on the circle, carefully overlapping the seventh petal to make a six petal flower. Use a glue dot to secure the top layer of the overlapping petal. Here is the flower from the back. The base circle should be hidden but it is best to use a color that coordinates in case any small part might show. I had some fun trying out possible centers for the flower. All of these except for the resin rose at the top right are old Creative Charms flowers that I happened to have in my odds and ends dish. The rose is from an Anna Griffin set that I bought a few years ago. Maya Road actually has multi-layered flowers that coordinate with the trim but it is fun to make your own. I wanted just a simple one layer flower for my card. 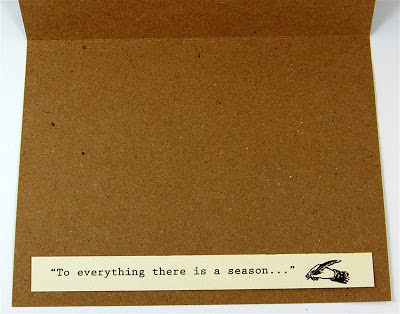 While I was shopping, I also picked up a few sheets of this Authentique paper from the Seasons Collection. 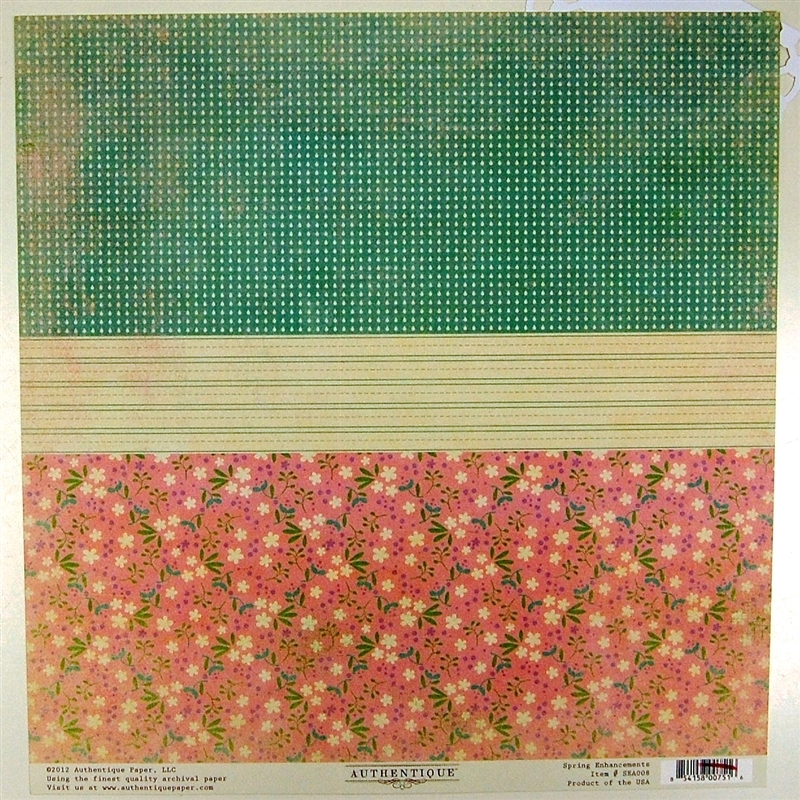 This is a two sided paper with enhancements on this side and coordinating papers on the back of the paper. 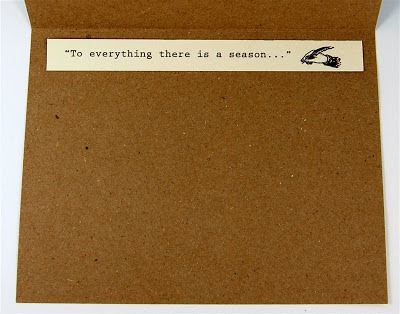 This is the other side of the paper. I found that when I trimmed the paper from this side, the alignment of the printing was not perfect. If you are planning to cut up a sheet of enhancements, it is probably best to cut it with the side with all of the embellishments showing. 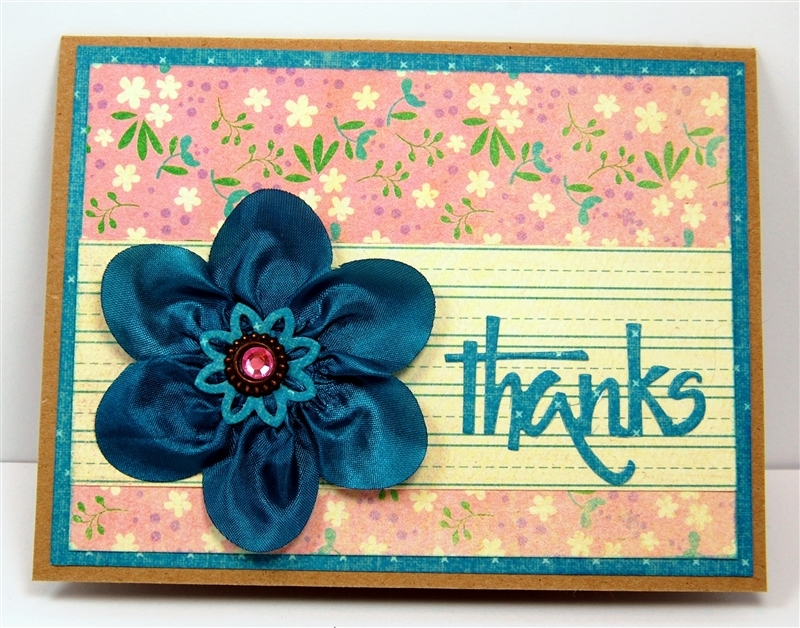 I had decided to use a kraft cardstock card base but I needed a teal blue layer to frame the pink floral on the card. 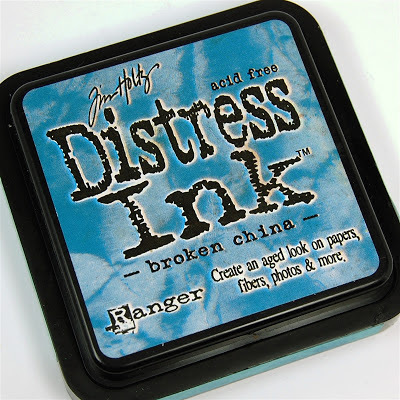 It is fun to go on a treasure hunt through your supplies to find a piece of paper that coordinates even though it is from a different company and a different year. 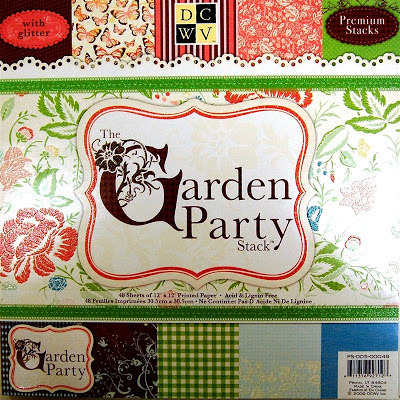 I found a great option in this older DCWV stack, "Garden Party." 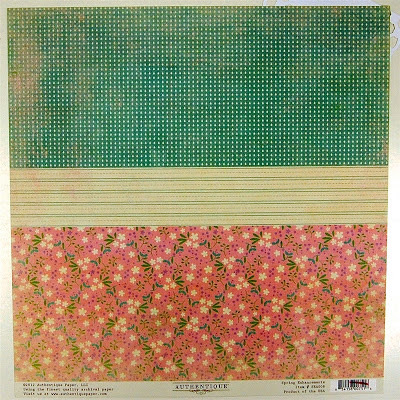 I cut the teal layer at 5 1/4 x 4 inches, the pink flowered layer at 5 x 3 3/4 inches and the striped strip is about 1 3/4 x 5 inches. The "thanks" sentiment is one of my favorite quick and easy cuts made with the die from the Cuttlebug A2 Combo set "With Gratitude." 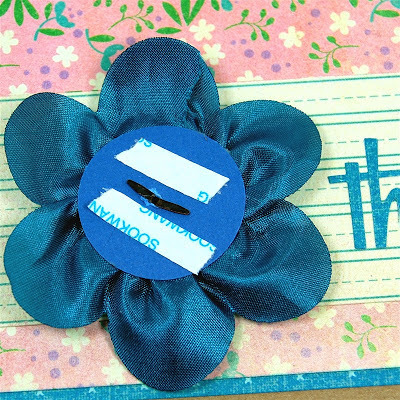 The small flower shape is right next to the "thanks" on the die and I decided to try it as a layer for the center of the flower. 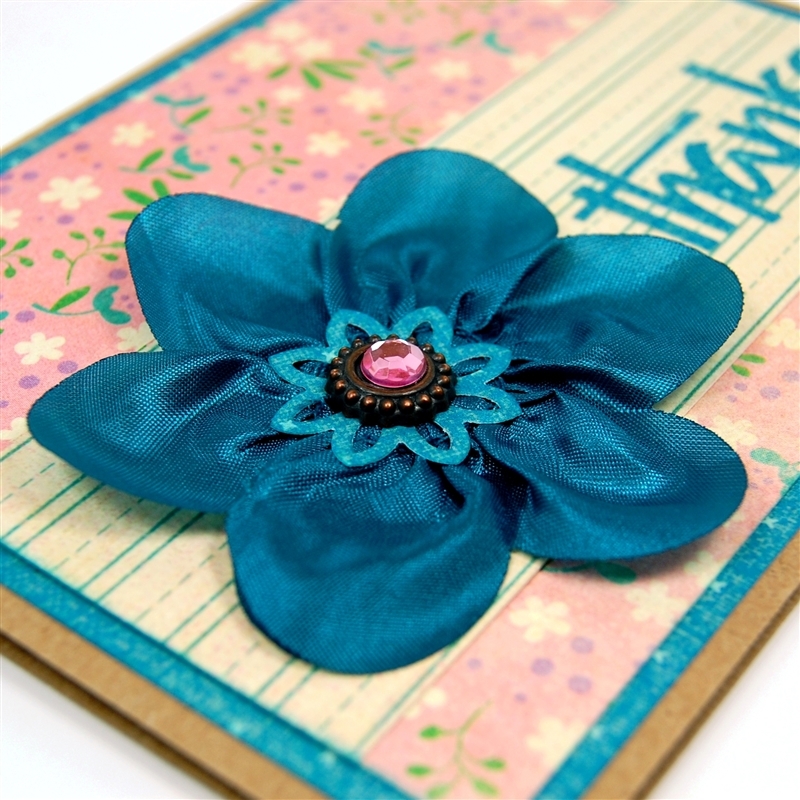 I used a piercing tool to start the hole for the pink vintage brad for the center of the flower. After securing the brad, I added some ScorTape to adhere the paper circle base to the card. I inked the edges of the pink floral and the teal background layer with Broken China Distress Ink. 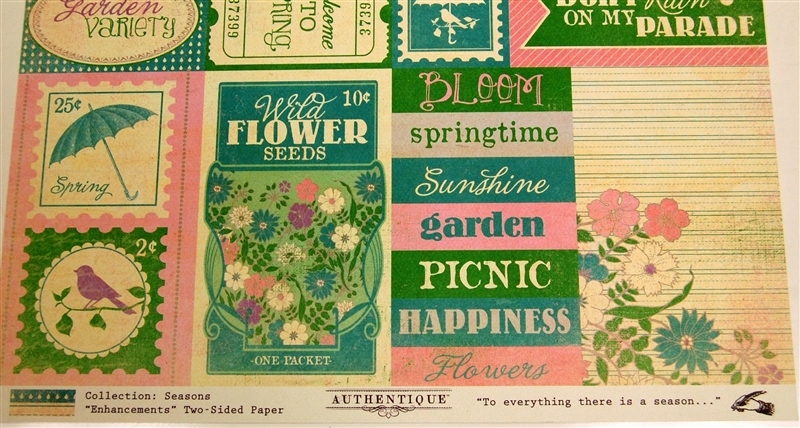 I also inked the flower center and the sentiment slightly - just to try to cover any exposed white edges. 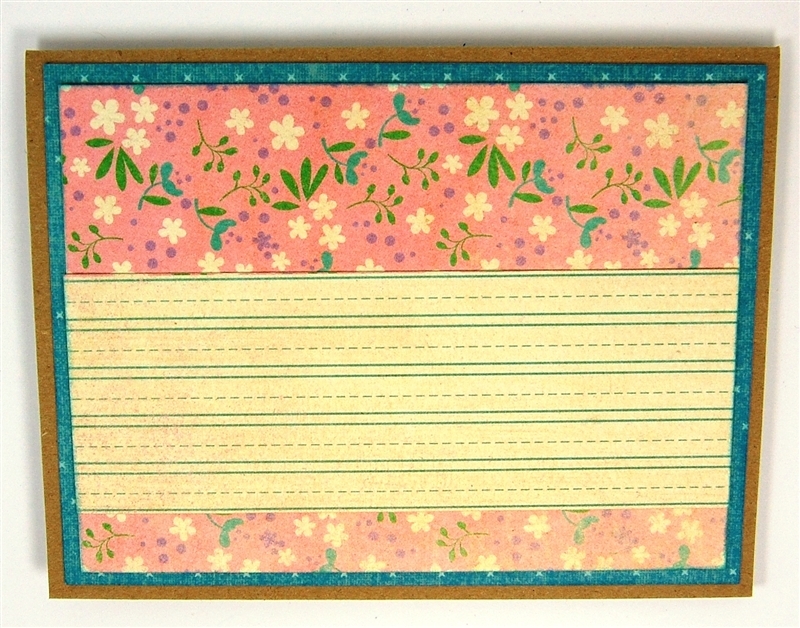 I chose the kraft cardstock for the card base because the pink paper is fairly heavily distressed. I thought it looked rather rustic and the contrast with the silky flower and gem makes the card more interesting. 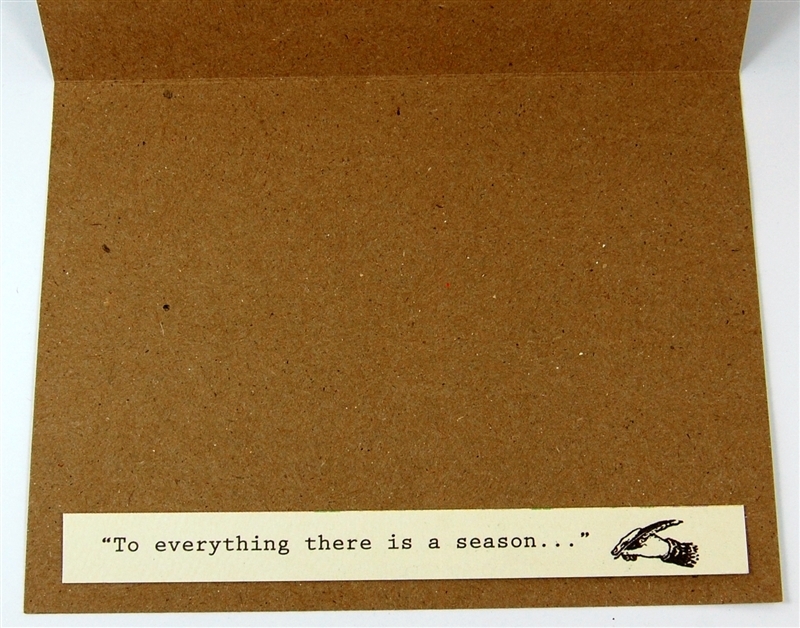 ...and the bottom inside the card. Be sure to check the edges for these little extras! 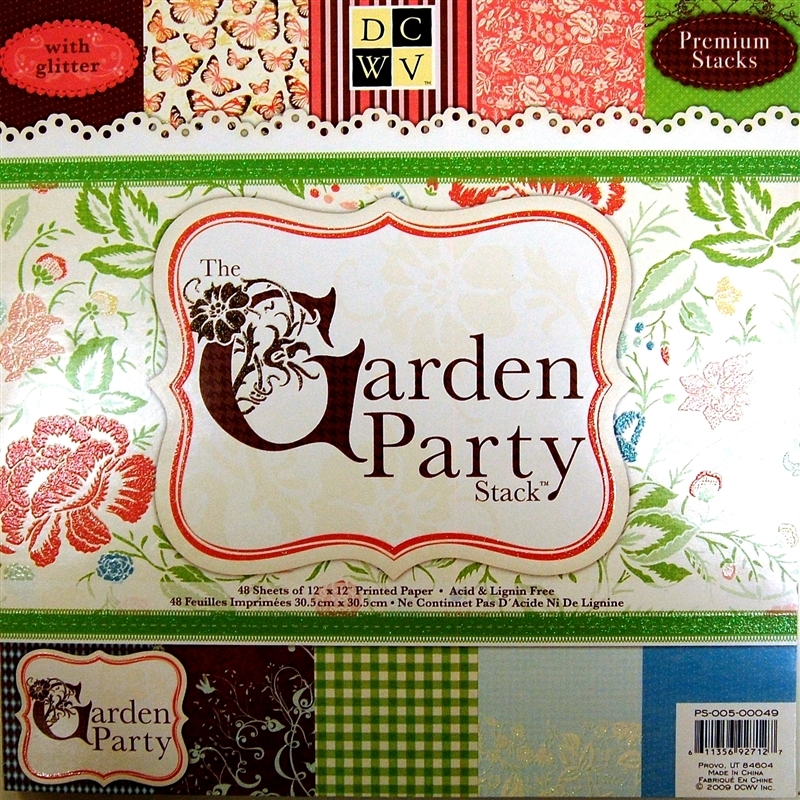 I bought a yard of this trim so I can make a lot of flowers. I think the trim cost around $2.25 a yard - it was definitely under three dollars. 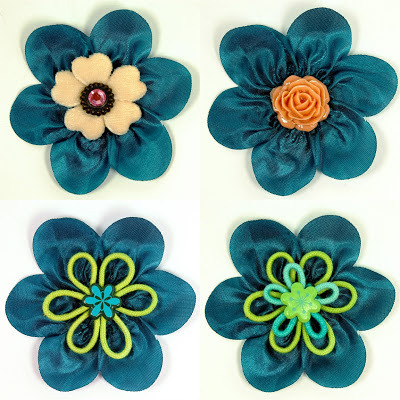 You could make a group of flowers, experimenting with different center items, and save them. 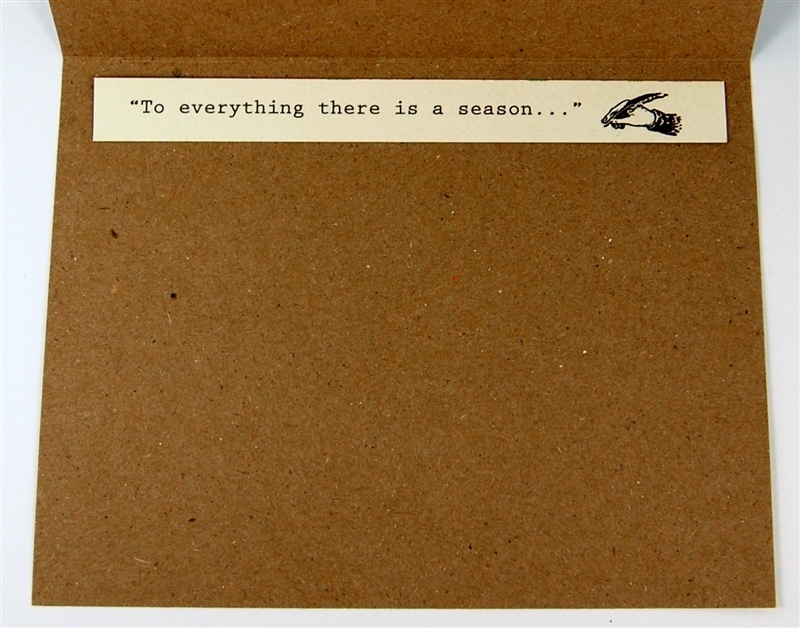 Then it would be easy to make multiples of the card for a gift set, with each one slightly different. 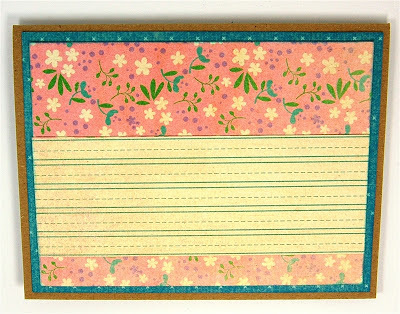 Do you collect paper - particularly 6 x 6 pads with all of those wonderful designs? 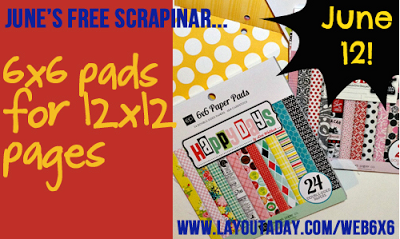 It's time to sign up for the June Free Scrapinar hosted by Lain Ehmann. 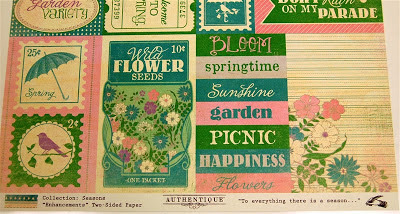 This month, Lisa Echerd will be showing us how to use those 6 x 6 papers on 12 x 12 pages. As always, the Scrapinar is FREE and there will be a replay made available for a few days if you can't attend the live session on June 12th. You must register ahead of time to have access to the recording, so sign up HERE today! Thanks! 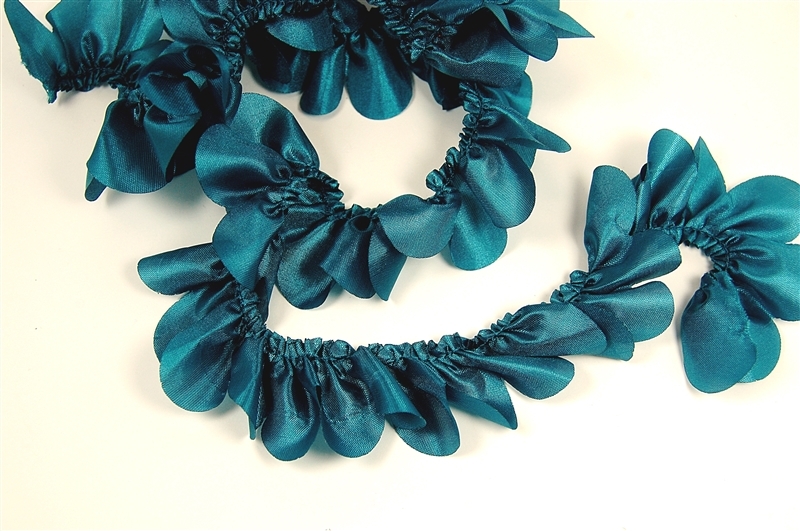 If you shop online there are many places that carry this - check Amazon or some of the online craft stores - just do a search for "Maya Road satin scallop edge trim" and you should be able to find lots of sources! That turned out really nice ;). Love the colors. Thanks - these are some of my favorite colors too!